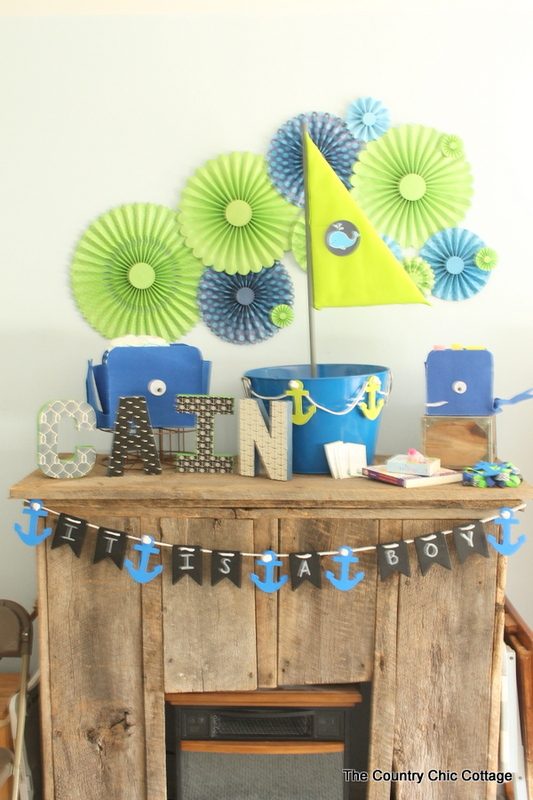 Last weekend I threw a nautical themed baby shower for my daughter. I have been sharing many of the tutorials for the decorations and even gifts here over the past few weeks. 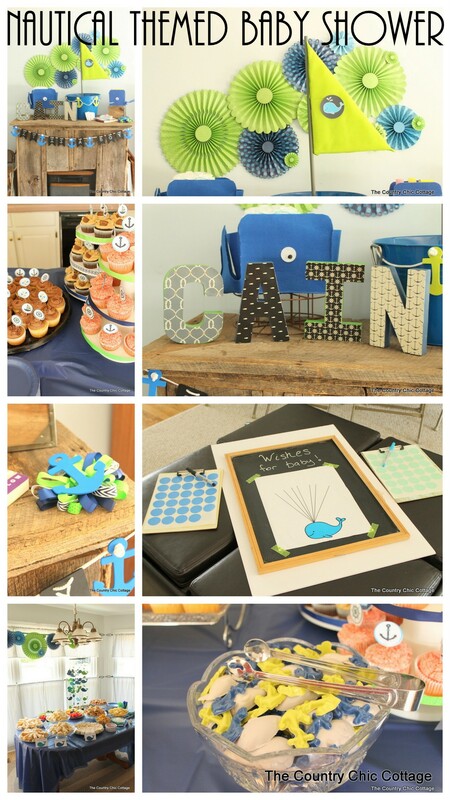 I thought I would round up the entire event so you can use some of those ideas for a baby shower or party that you are hosting. 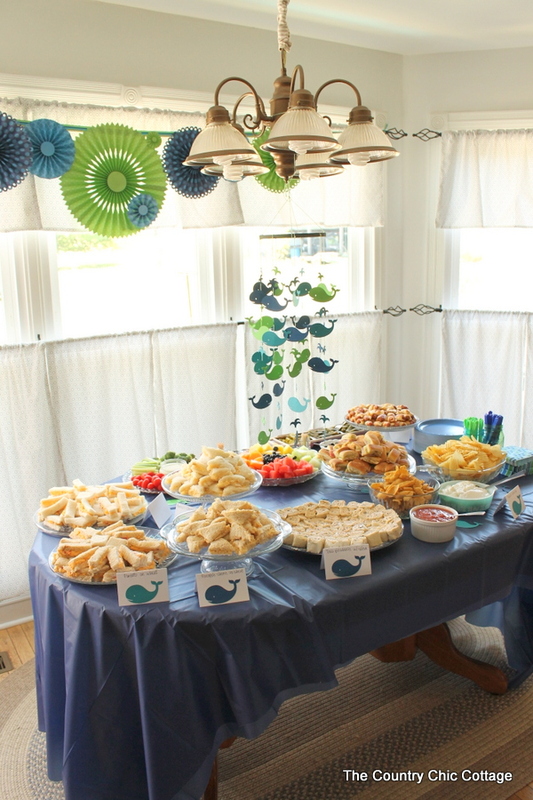 The baby shower was on Sunday so we spent the day on Saturday crafting and getting the food read for the party. The mom to be helped as well as her younger sister. We had a few other helpers on Saturday and I am telling you I could not have pulled this off without them! We used the table in the kitchen for the food. I hung the whale baby mobile above the table as decoration. It will find a home in the baby’s room soon. 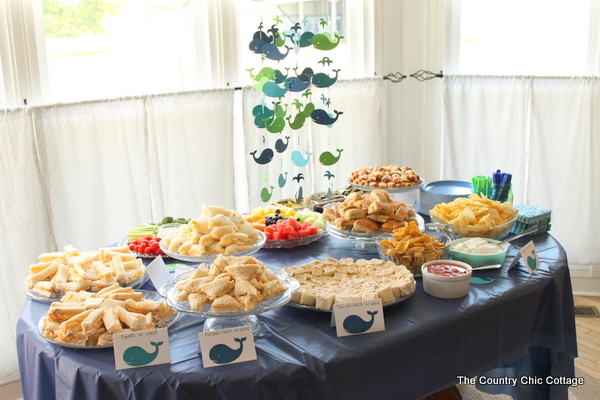 The spread of food included party ham rolls, pineapple cheese sandwiches and oh so much more! We made little cards to label the food for the shower guests. 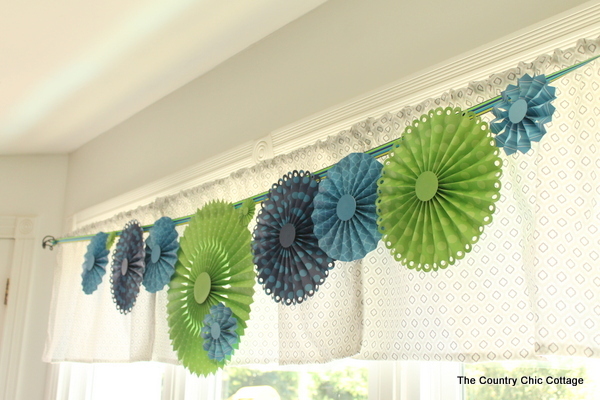 I picked up a ton of paper rosettes to use as party decor. You can see a little bit more about where to buy those and how to put them together in this post. In this case, we hung them on a ribbon over the food table. We had to have a whole other area for desserts and drinks. 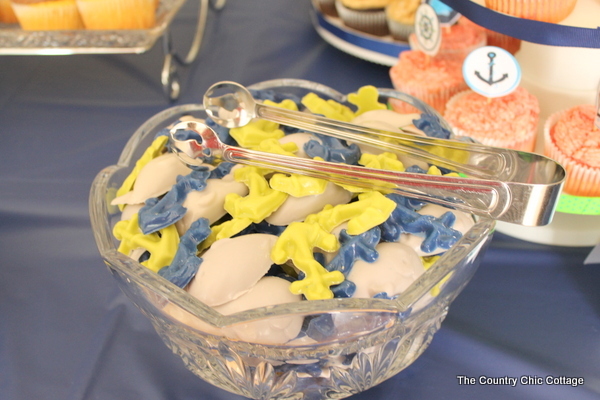 A family member of the dad-to-be made these great mints and even customized them with the party theme. They were delicious! 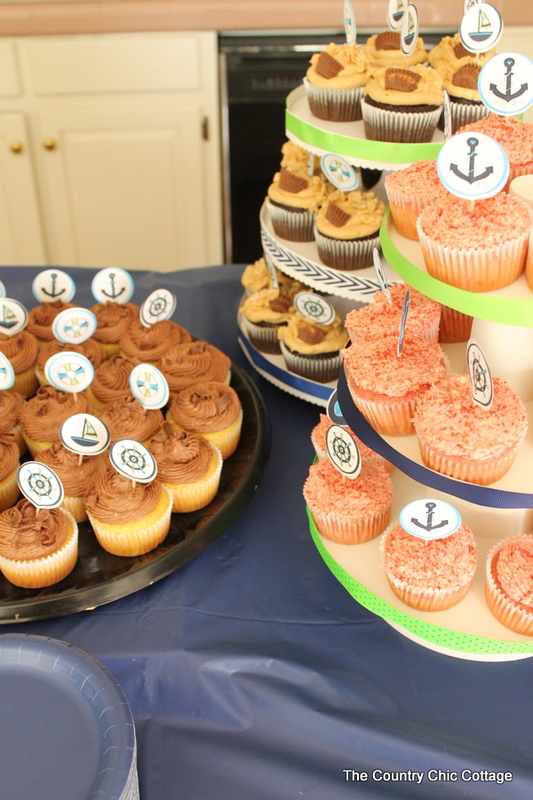 The cupcakes had a variety of nautical themed toppers. 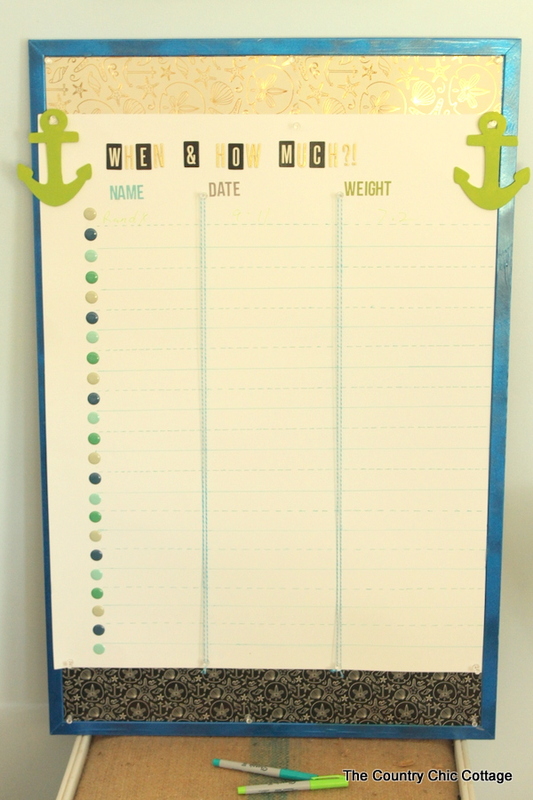 You can download the whale topper and more here. The mantel was decorated using a variety of craft ideas as well. 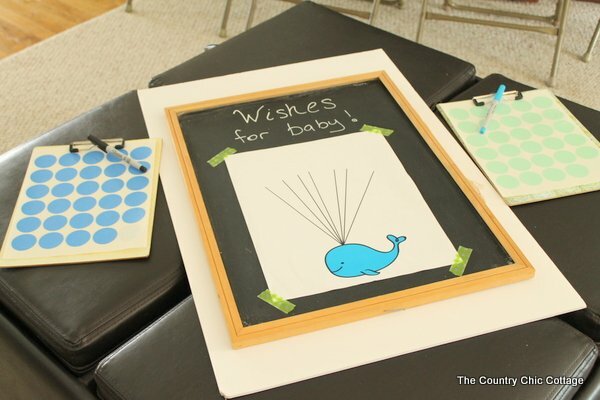 You can see how to make that chalkboard baby shower banner here. The tub turned into a boat was for cards and books. You can click here to see how to make that as well. We once again continued with the rosettes in this area as well. 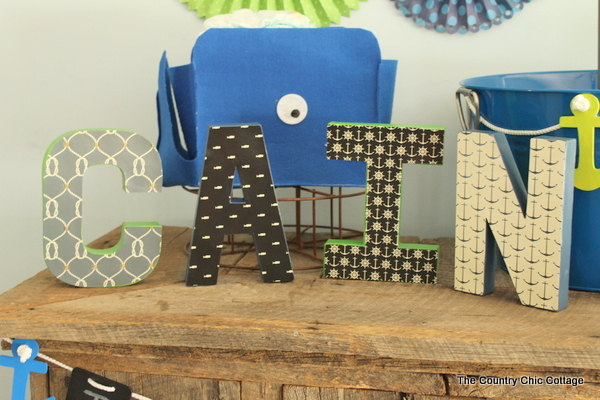 I bought letters to spell the baby’s name and covered them using this method with scrapbook paper. 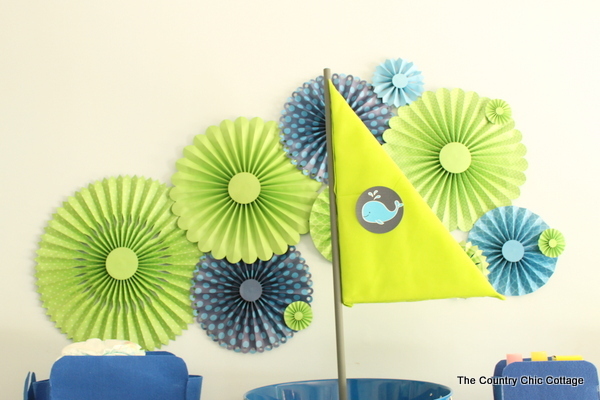 You can also click here to see how to make those whale baskets. 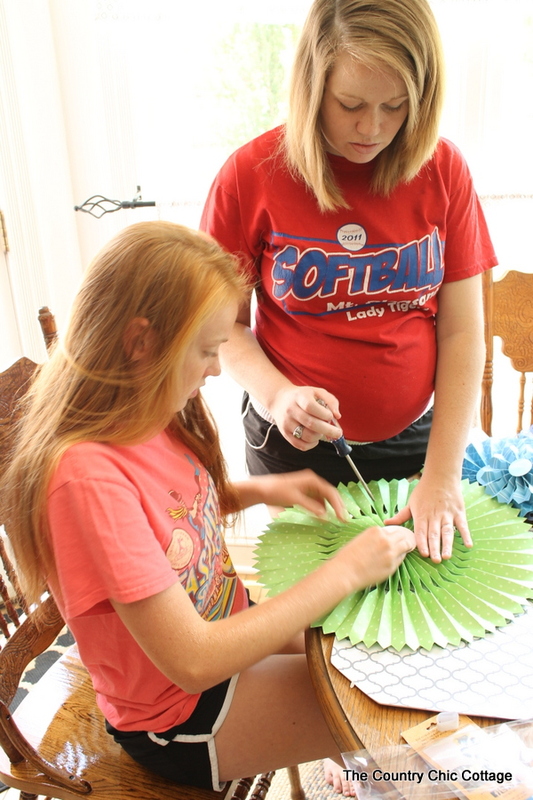 We used some ribbon and an extra wood anchor to make a corsage for the mom-to-be. We didn’t really play traditional baby shower games. We had one board where the guests could guess the birth date and birth weight of the baby. We actually had a ton of fun with this activity. 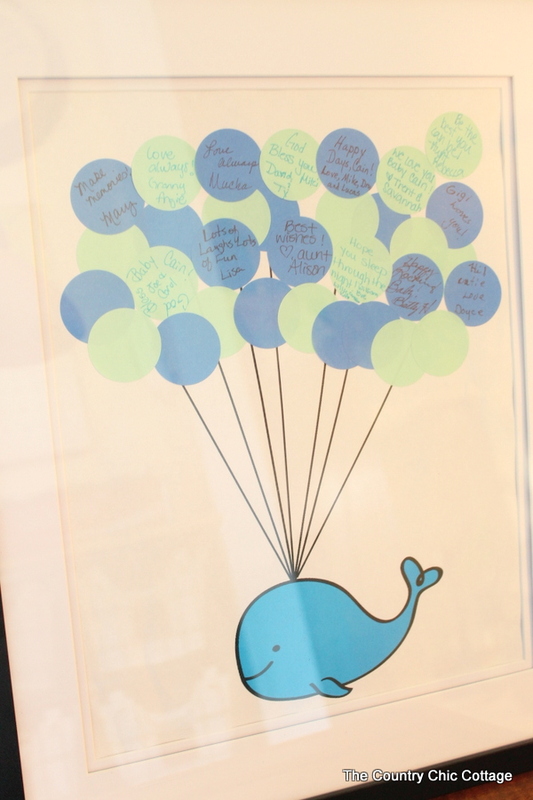 We also had a baby shower guest book that later turned into nursery art. You can download the free printable and see how to make your own version here. At the end of the shower, we framed up the guest book so that my daughter could take it home. Too cute right?? 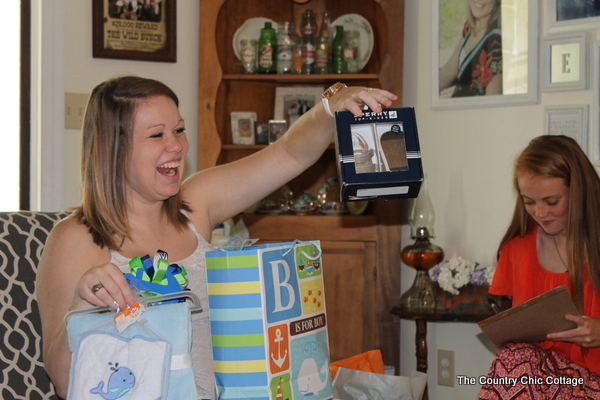 The most important thing was that the mom-to-be had a ton of fun. I will not bore you with tons of pictures but the one below pretty much sums it up. 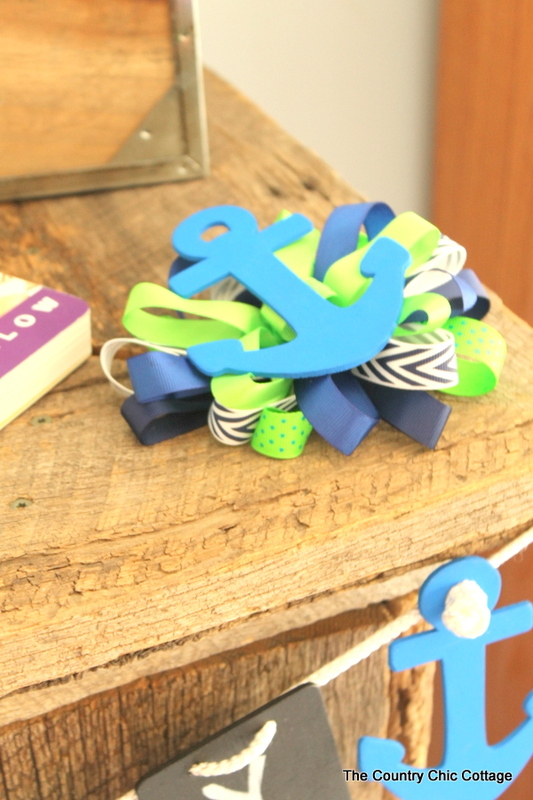 I hope y’all have enjoyed these nautical themed baby shower ideas. It was a fun party to plan and I was happy that it went so well! What a cute shower!! I love the layering of the rosettes. Momma looks thrilled. Congratulations! Being a grandmother is fantastic!